Nobody has ever accused Vegas of being understated. We like things to be, shall we say, a little over the top. And we’re not just talking about hotels and nightclubs. There are a lot of Vegas restaurants that offer incredible dining experiences that will blow your mind. If your budget isn’t an issue and you’re looking for a special once-in-a-lifetime meal, we’ve got just the thing for you. Here are some of the ways you can indulge in a meal unlike any you’ve ever had before. If you’re a foodie and a champagne lover, it doesn’t get any better than the Krug table experience at Guy Savoy restaurant at Caesars Palace. It’s the only one in the U.S. The Michelin two-star restaurant offers guests a chance to dine at an intimate six-seat table overlooking the kitchen from floor-to-ceiling windows. 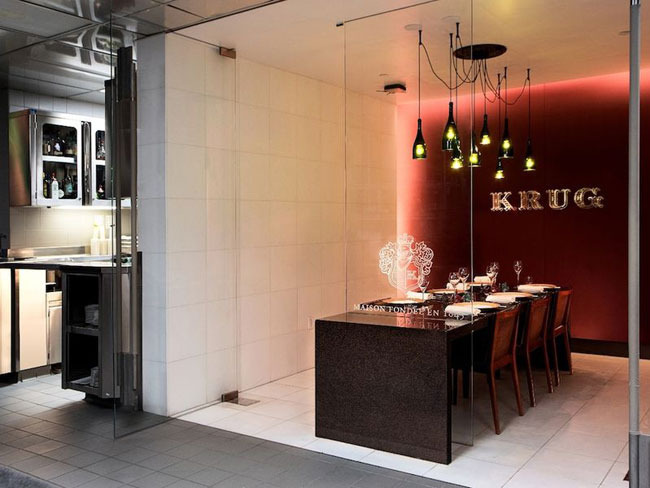 You’ll enjoy up to 13 courses of a chef’s tasting menu paired perfectly with yes, you guessed it, prestigious Krug Champagne. The menu is subject to change but you can expect to taste things like Savoy’s famous artichoke and black truffle soup and Colors of Caviar dish paired with Grand Cuvée Krug Rosé and more. The food is served on custom-made china and the champagne is served in glassware designed exclusively for Krug by Riedel. é by José Andrés is a dining experience so exclusive you need a golden ticket to get in. Seriously. You have to e-mail for a reservation months in advance and if you get in you’ll receive a golden ticket in the mail à la Willy Wonka. 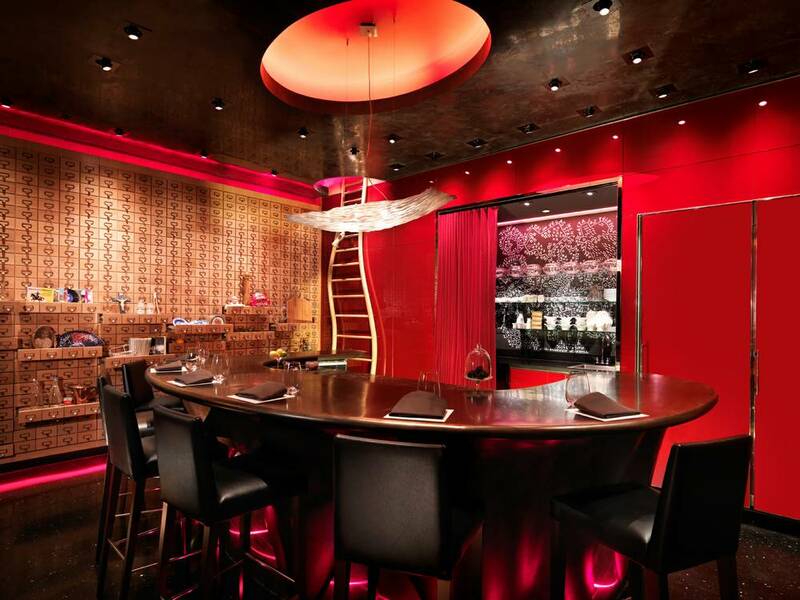 Once you’re in, you’ll be escorted to a private room adjacent to Andrés’ other restaurant, Jaleo, inside The Cosmopolitan of Las Vegas. There’s one table that seats eight and once you’re seated you’ll be treated to a 15-course tasting menu, which costs around $195 per person plus extra for alcohol pairings. The cuisine is avant-garde Spanish and while the menu is a surprise you might get to try items like cotton candy empanadas, beet gazpacho, Iberico chickpeas, foie doughnut, smoked oysters and cava sangria jelly. There’s only one place in the United States where you can enjoy fine French food from the “Chef of the Century” Joël Robuchon and that’s in Las Vegas at MGM Grand. His three Michelin-star restaurant serves an incredible 16-course tasting menu for $445. The menu can change seasonally but dishes you may find yourself sampling include caviar, lobster black truffle tart, frog leg fritters, truffled langoustine ravioli, caramelized black cod and sea urchin. 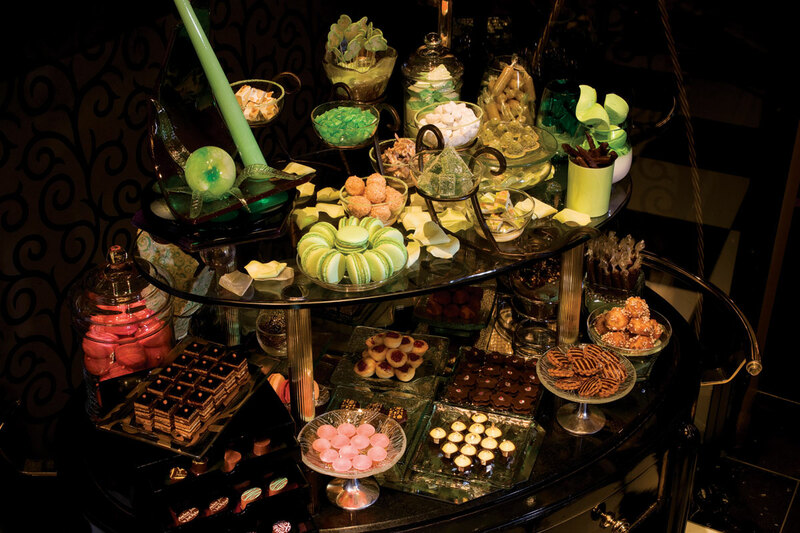 Your meal is also accompanied by dozens of bread varieties from the restaurant’s bread cart and a seemingly endless supply of desserts from the mignardise cart. In Vegas we can even make a buffet super fancy. The Bellagio Buffet offers a special chef’s table option. Guests who indulge, at a price of $54 – $60, can bypass the main line and are escorted to the table where they are welcomed by the chefs with an assortment of seasonal fruits, house-baked fresh breads and canapés. Next, there’s a special menu based on seasonal ingredients, which typically includes things like artisanal cheeses, charcuterie, caviar, salads prepared tableside, premium meat carvings such as lamb and prime rib, and a chocolate dessert fondue presentation with fresh fruit, brownies and marshmallows. Oh, and you still get to eat everything on the main buffet too. The Chef’s Table experience is available nightly with a reservation for parties of eight or more. Acclaimed chef Charlie Palmer came up with the brilliant idea of serving an eight-course meal in four-course meal time. 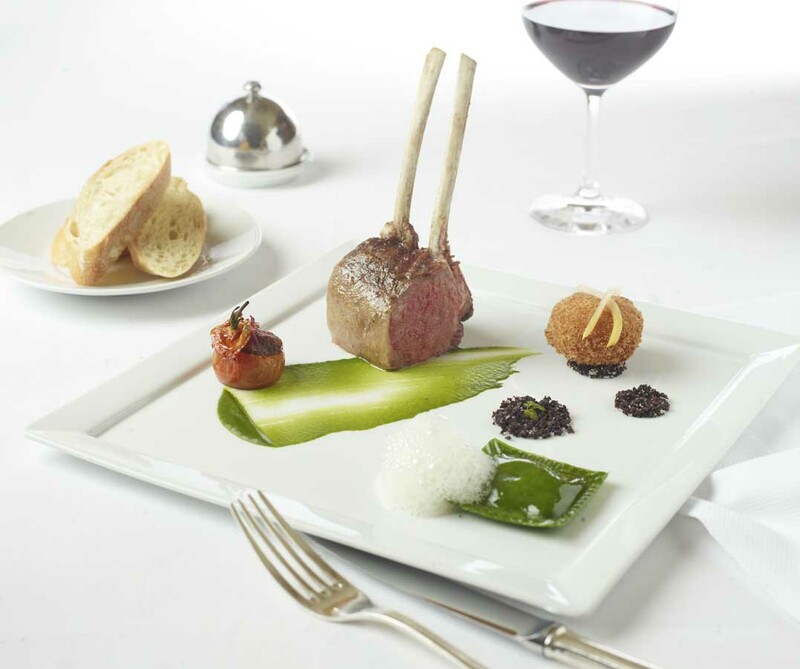 Aureole restaurant’s parallel tasting menu features four courses, which each have two complementary themed dishes served at the same time. If you decide to indulge, all members of your party at your table must order the tasting menu too. It costs $95 per person. The menu changes, but currently you’ll find a first course of salmon gravlax and lightly smoked ora king salmon; a second course of ginger and Dungeness crab salad paired with New Zealand snapper; a third course of ricotta and lobster ravioli and butter poached Maine lobster; and a fourth course of roasted grape and goat cheese tart and Concord grape sorbet. Your meal can be supplemented with a wine pairing for $75 for 3 ounce tastes or $120 for full 5-ounce pours. Wine is kind of a big deal at Aureole. It’s home to a four-story wine tower. You might wonder how you get wine down from a four-story tower. No worries. The restaurant’s wine angels can travel from the ground to the top in 10 seconds via a mechanical hoist that lifts them up. Carnivores, rejoice! If you’re a major beef lover you’ll want to try the Wagyu beef banquet at Nobu at Caesars Palace. It’s a seven course Wagyu omakase (dishes selected by the chef) menu for $688 per person. Reservations require 24 hour notice. 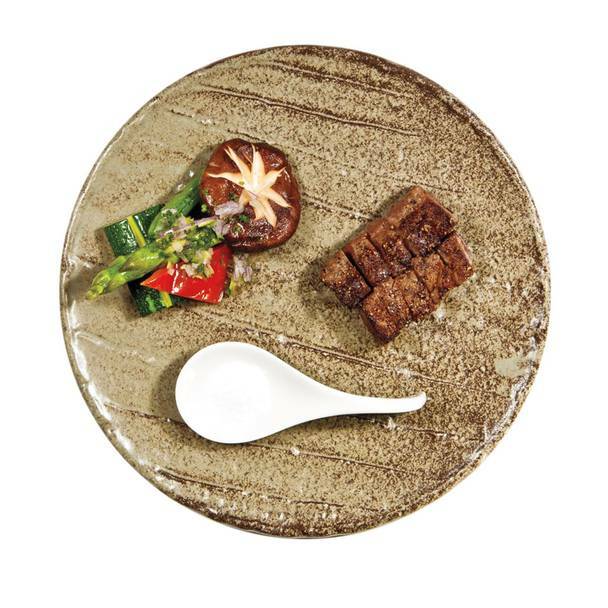 Wagyu is often considered the world’s most flavorful and tender beef. It comes in different grades with A5 being the highest. Guests who indulge are treated to things like Wagyu cooked over an open flame at your table, a Miyazaki Wagyu tenderloin or a decadent Wagyu gyoza. For more dining choices in Vegas, check out our complete list of restaurants.